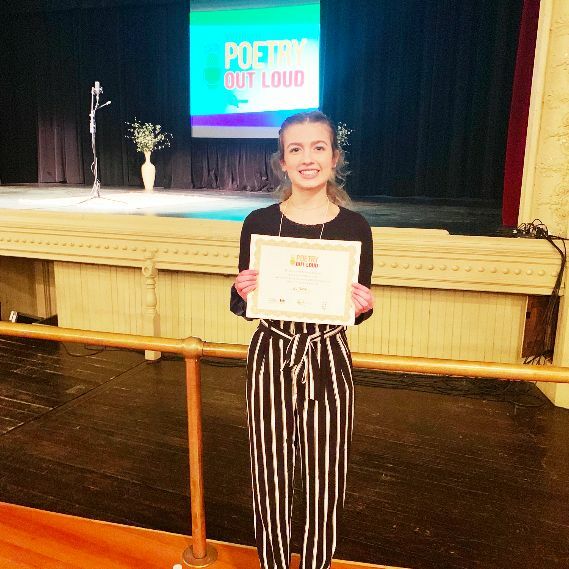 After being selected as one of ten finalists, Anna Senesac '20 is set to compete in the Vermont Poetry Out Loud Championship presented by the Vermont Arts Council. She will perform Monday, March 18 at 5 p.m. at the Vermont PBS Studios in Colchester. The event will be streamed live on the Vermont Poetry Out Loud Facebook page. The winner of this group will compete nationally in Washington, D.C. Good luck to Anna, we're all cheering for you!